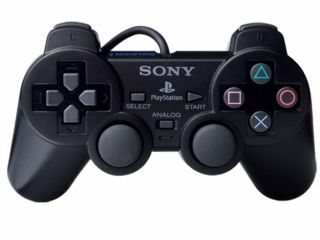 PlayStation exec Jack Tretton has insisted that the recent trend towards motion sensors will not kill the traditional gaming controllers. The SCEA-man insisted that the arrival of Sony's PlayStation Move, as well as the popularity of the Nintendo Wii and the forthcoming Project Natal from Microsoft, were not a threat to more traditional gaming. "We have a 15-year heritage in this business which in some industries that is a short time, but in the game industry, it is a lifetime," Trenton told G4 at GDC. "PlayStation has come to stand for accuracy, cutting edge technology, and we certainly give Nintendo all the credit in the world for what they have accomplished with motion gaming, but we really feel we ushered that in with the original EyeToy." "So what we feel we have progressed to is the next generation of motion gaming experience where using the controller and the camera, we're able to get the most immersive, most realistic, motion gaming experience gamers have ever seen. "The key though for the consumer is choice. We don't want to force motion gaming down their throat, so for the shooter fan, it's gonna be 'well, I like motion gaming but I prefer my DualShock', so that's going to be there for them. "The thing about this motion gaming is that it's an add-on, and enhancement, and an extension of what already exists, not a replacement." Well, thank God for that, trying to take people out with a pointed finger in Team Fortress 2 just doesn't cut it.